Business owners and agencies are finding freelancer John Espirian on LinkedIn, and hiring him for high-paying freelance projects. “I’ve noticed that clients who come to me via LinkedIn are willing to pay more for my services than those who find me direct via Google. In some cases, the difference is as much as 30%,” says John, “the relentlessly helpful technical copywriter.” Based in South Wales, United Kingdom, John specializes in producing simple B2B support content that helps business clients gain and retain customers. 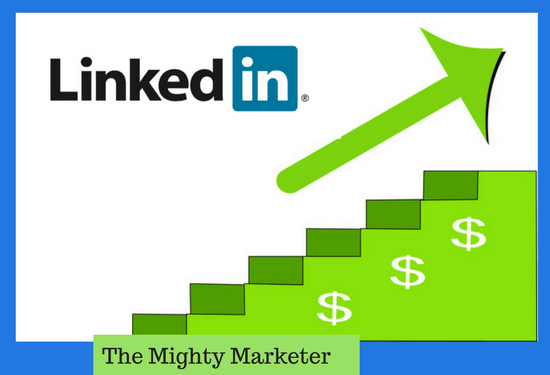 John is also an expert in how to use LinkedIn for freelance success, and how to take advantage of the massive changes LinkedIn made in 2017 (after Microsoft bought the #1 social media platform for business). And John has found a great way to find freelance jobs on the LinkedIn mobile app. “Microsoft’s takeover and changes to the algorithm that powers its feed means that LinkedIn is now much more of a hub for conversation and networking than ever before. The search features mean that you can quickly and easily discover potential clients, and LinkedIn is the perfect place to strike up a professional relationship with those people,” says John. Networking on LinkedIn (sharing and engaging) helps you rank higher when clients are searching for freelancers. The 2017 changes made it easier to share content and engage colleagues and clients. Searching isn’t as quick and easy as it was before, but you can still find clients with a free LinkedIn membership. Lay the groundwork for using LinkedIn to grow your freelance business by connecting, engaging, searching, and attracting. Like sharing and engaging on LinkedIn, having a big network helps you rank higher in search results. And the closer your connections are (e.g., 1st degree connection instead of 3rd degree connection), the higher you’ll rank in search results. But your network will only be helpful if the right people are part of it. So focus on quality, not quantity. Connect with people (colleagues and current clients) you know and people you’re “related to”: people in your industry(ies), other freelancers, prospective clients, etc. LinkedIn members are more likely to accept invitations that include a personal note. Just click “Add a note” and then write your personal invitation. But beware of “People You May Know,” LinkedIn’s prompt to connect with people. If you click on Connect under the person’s name and title, LinkedIn sends the generic invitation. There is a way around this. If you see someone you want to connect with under “People You May Know,” search for the person. When you click on his/her profile, you get the box where you can send a personal invitation. Even if your target clients aren’t active on LinkedIn, connecting with them helps you rank higher in search results. Connecting also gives you access to some of their colleagues, who are likely to be good prospects for you. Share useful, relevant content with your connections, and comment on their posts. Most of what you share should be non-promotional. John suggests sharing content about your specialty and/or industry(ies). You can also share more general content, like tips or resources on getting more done or easier ways to do things. Don’t make it all about you. “Using the platform to broadcast announcements or sales messages is one of the biggest mistakes freelancers make on LinkedIn. No one wants to read that,” says John. It’s okay to mention or promote your own work once in a while. But what you’re sharing should always be useful and relevant to your connections. Increase engagement by responding to every comment people make on your posts, and by commenting on, sharing, or liking other peoples’ posts. Very few people do these things, so if you do, you’ll stand out. Engaging with other people’s posts is especially important. “Give before you receive,” says John. When you engage people on LinkedIn, they often check out your profile. Having more profile views also helps you rank higher in search results. Not posting or engaging with other people’s posts won’t help you. “Being a lurker means you won’t get noticed,” says John. Wouldn’t it be great if LinkedIn shared everything you post with all of your connections? Unfortunately, it doesn’t work that way. LinkedIn starts by displaying your posts to a small sample of your connections and followers, says John. If they engage with your post, LinkedIn will show it to more people. For example, if your 1st-degree connections like, comment, or share your post, LinkedIn may show it to your 2nd-degree connections too. How well your previous posts did counts too. “If you write 100 low-value posts containing external links and then you write one outstandingly valuable text-only post, it probably won’t perform very well,” says John. Consistent engagement that’s useful and relevant is the key to improving your results. “The algorithm needs time to learn about your posts, so don’t expect immediate results even if you’re doing what looks like the right thing,” says John. It took him about 6 months to go from posts that got 100–200 views to posts that now often get 1,000–2,000 views. Here’s something I didn’t know before I met John: LinkedIn is likely to share text-only posts more widely than posts with links, which most experts say you should include with posts. John’s text-only posts get about 3 times more views than posts that have links to external sites. “It makes sense that LinkedIn doesn’t want to display too many posts containing links to third-party sites. Each time someone clicks one of those links, they leave the LinkedIn platform. That means they spend less time on LinkedIn,” says John. You can write up to about 250 words in a post (1,300 characters), but shorter is better. “Use a storytelling approach, and put a compelling hook in the first line to encourage people to read the whole post,” he says. Asking a relevant question that’s easy to answer is a great way to do text-only posts. One of my most engaging posts asked the question: Freelancers: What have you achieved today? (1,329 views). This wasn’t quite a text-only post, because it had an image of freelance achievement stickers from a New Yorker article (like “Talked to Someone in Person Today” and “I followed up”), but there was no external link. Here’s another neat idea: Include links and images in your comments. “Make your initial post text only, but then post a reply that includes the link that you wanted to share (if there is one). The same goes for images: post them as replies,” says John. Use the LinkedIn mobile app to find freelance jobs and find the high-paying clients you want to work with through LinkedIn searches. When you see the results, click the “Content” tab at the top of the screen. Scroll through the list of posts about freelance work. When you find one that interests you, you can click the “Apply” button or “Reach out to the job poster” (usually listed below the job posting). Watch John’s video to see what this looks like: How to search for freelance work on LinkedIn. I searched “looking for freelance writer” under Jobs, and found 52 freelance jobs. A few were medical writing (my specialty). You can also find prospects by searching for regular jobs. Companies that are looking to hire full-time employees may also use freelancers. It takes more time and effort to do general prospect searches since LinkedIn did away with the advanced search feature in 2017. This change limits what you can do with a free account, and limits the number of searches you can do each month. A paid account with Sales Navigator does many of the things advanced search used to do, but it starts at $64.99 per month (as of January 2018). Now, I think LinkedIn is best for finding contacts in the companies you know you want to work for, and for finding related prospects through People Also Viewed. But you can do general prospect searches too. LinkedIn’s algorithm sorts results by relevance so even if you get a lot of search results, the top ones should be relevant. Search results are also based on your connections, so the larger your network the more results you’ll get. If you know a particular company (or companies) you want to work with, you can search for that company, and then use Keywords to find people with the right job titles. People at different, but similar, companies with the same/similar job title. John likes to build relationships with prospective clients on LinkedIn. Searching by a combination of location and job titles, John identifies key people of interest. He looks for common ground in their profile descriptions and then sends them a personalized connection request. “It’s important not to start by making a sales pitch, though – this is a near-certain way to be ignored,” he says. I prefer to send each prospect a direct email, customized to his/her needs and how I can meet these needs. Learn more about direct email in: The Free, Fast, Proven Way to Win High-Paying Freelance Clients. Once you’ve gotten the attention of your prospects, persuade them to hire you by focusing your profile on their needs and how you can meet those needs. Write a compelling, benefit-oriented headline, and a concise, engaging summary. Make sure your photo and background image look professional; LinkedIn changed the sizes in 2017. Learn more about profiles changes, and get a free LinkedIn profile checklist for freelancers, in LinkedIn: You Can’t Do That Anymore.